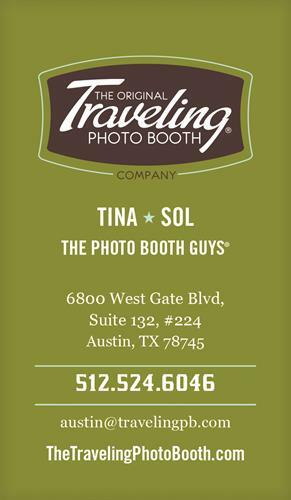 We are the owners of The Traveling Photo Booth here in Austin. We've been thriving in Austin for seven years and looking forward to what the busy future holds. 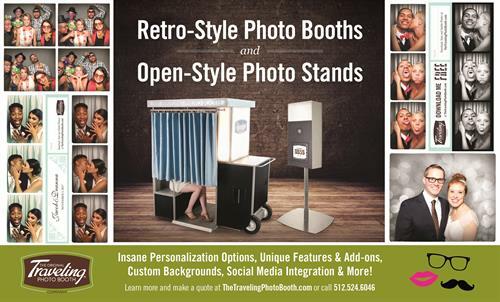 The Traveling Photo Booth® is an award winning photo booth and has been renting one-of-a-kind photo booths and stands for special events. Our booths have taken over 1 million photos and have completed over 5,000 events. Our booths bridge the appeal of yesteryear with the technology of today. They are fully automated, print real photo strips quickly and accommodate both small and large groups attractively. We think they’re the best in the Galaxy. 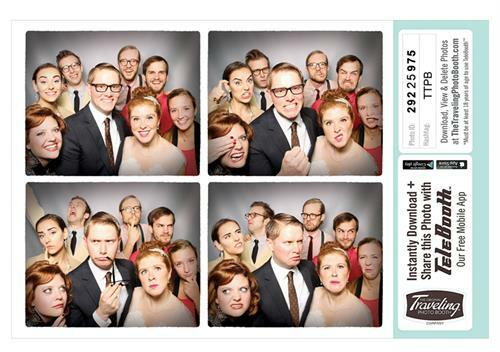 We know you and your guests will love having a REAL Photo Booth or Stand at your event. Raise the bar for your next event and give us a call or email!